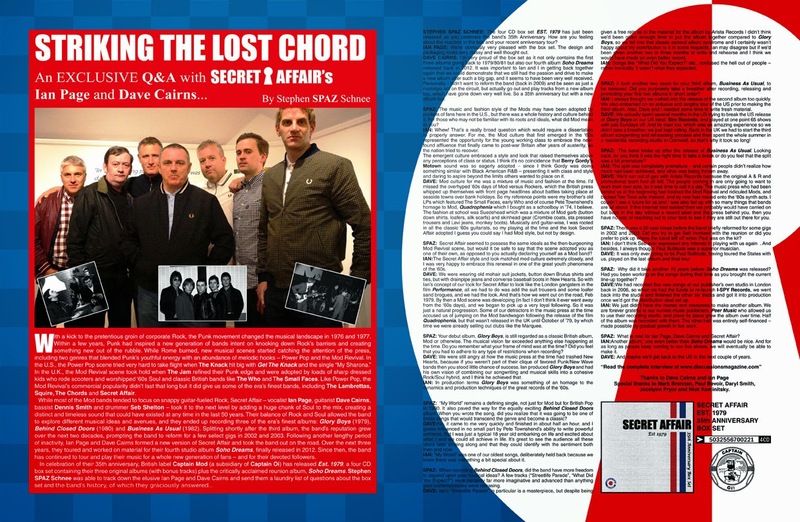 Discussions Magazine Music Blog: An EXCLUSIVE interview with SECRET AFFAIR's Ian Page and Dave Cairns! 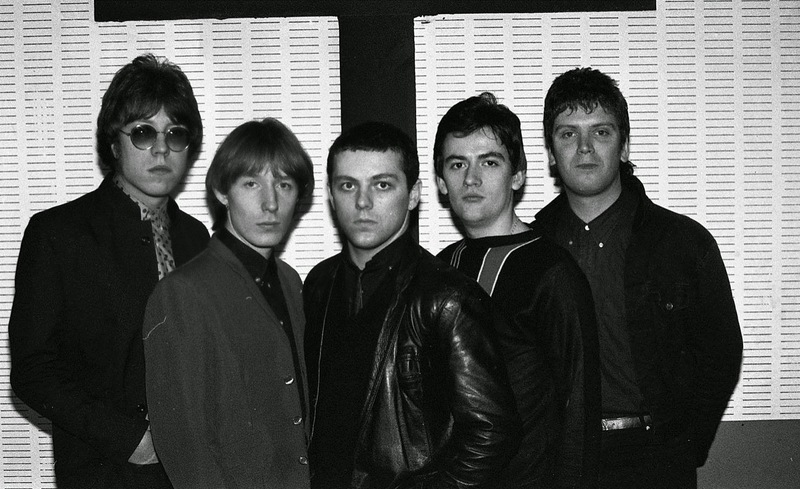 An EXCLUSIVE interview with SECRET AFFAIR's Ian Page and Dave Cairns! With a kick to the pretentious groin of corporate Rock, the Punk movement changed the musical landscape in 1976 and 1977. Within a few years, Punk had inspired a new generation of bands intent on knocking down Rock’s barriers and creating something new out of the rubble. While Rome burned, new musical scenes started catching the attention of the press, including two genres that blended Punk’s youthful energy with an abundance of melodic hooks – Power Pop and the Mod Revival. In the U.S., the Power Pop scene tried very hard to take flight when The Knack hit big with Get The Knack and the single “My Sharona.” In the U.K., the Mod Revival scene took hold when The Jam refined their Punk edge and were adopted by loads of sharp dressed kids who rode scooters and worshipped ‘60s Soul and classic British bands like The Who and The Small Faces. Like Power Pop, the Mod Revival’s commercial popularity didn’t last that long but it did give us some of the era’s finest bands, including The Lambrettas, Squire, The Chords and Secret Affair. 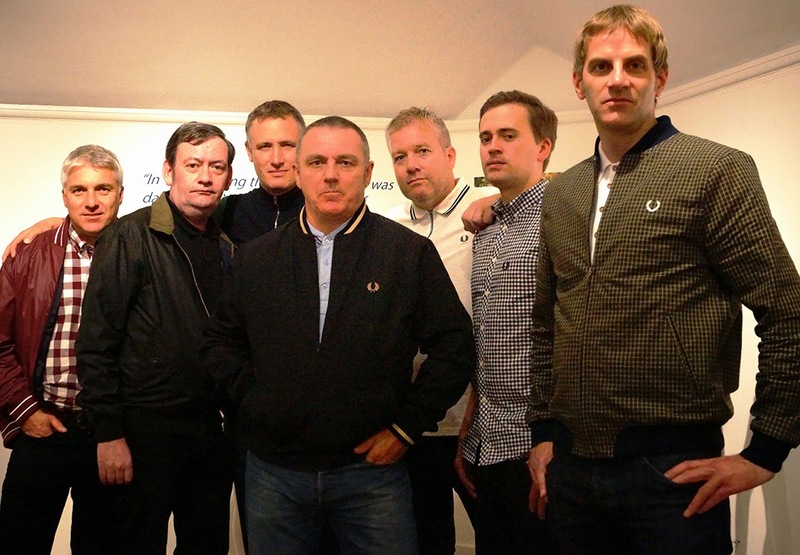 While most of the Mod bands tended to focus on snappy guitar-fueled Rock, Secret Affair – vocalist Ian Page, guitarist Dave Cairns, bassist Dennis Smith and drummer Seb Shelton – took it to the next level by adding a huge chunk of Soul to the mix, creating a distinct and timeless sound that could have existed at any time in the last 50 years. Their balance of Rock and Soul allowed the band to explore different musical ideas and avenues, and they ended up recording three of the era’s finest albums: Glory Boys (1979), Behind Closed Doors (1980) and Business As Usual (1982). Splitting shortly after the third album, the band’s reputation grew over the next two decades, prompting the band to reform for a few select gigs in 2002 and 2003. 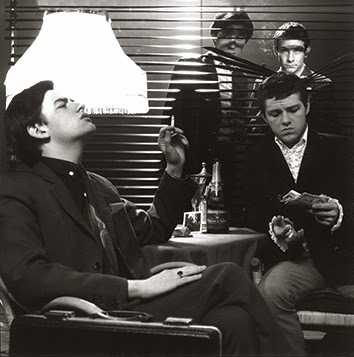 Following another lengthy period of inactivity, Ian Page and Dave Cairns formed a new version of Secret Affair and took the band out on the road. Over the next three years, they toured and worked on material for their fourth studio album Soho Dreams, finally released in 2012. Since then, the band has continued to tour and play their music for a whole new generation of fans – and for their devoted followers. STEPHEN SPAZ SCHNEE: The four CD box set EST. 1979 has just been released as you celebrate the band’s 35th Anniversary. How are you feeling about the reaction to the box and your recent anniversary tour? IAN PAGE: We're obviously very pleased with the box set. The design and packaging looks very classy and well thought out. DAVE CAIRNS: I’m very proud of the box set as it not only contains the first three albums going back to 1979/80/81 but also our fourth album Soho Dreams released back in 2012. It was important to Ian and I in getting back together again that we could demonstrate that we still had the passion and drive to make a new album after such a big gap, and it seems to have been very well received. Personally, I didn’t want to reform the band (back in 2009) and be seen as just a nostalgia act on the circuit, but actually go out and play tracks from a new album too, which have gone down very well live. So a 35th anniversary but with a new album too. SPAZ: What inspired you to put together this set? Did you go to Captain Oi with the idea or did they come to you? DAVE: Mark Brennan at Captain Oi came to me with the proposal for a box set plus some John Peel radio sessions but this didn’t include Soho Dreams, which I felt very strongly wouldn’t be complete without it, but Mark Brennan fortunately persuaded Sony/BMG (who own the first three albums) to agree to the package including Soho Dreams. I think it’s a real milestone and achievement for any band to have a box set release, and it’s a credit to our long standing fans too. IAN: Dave and I gave as much feedback and support as we could to ensure the look and feel of it was just right. SPAZ: The music and fashion style of the Mods may have been adopted by pockets of fans here in the U.S., but there was a whole history and culture behind it. For those who may not be familiar with its roots and ideals, what did Mod mean to you? IAN: Whew! That's a really broad question which would require a dissertation to properly answer. For me, the Mod culture that first emerged in the ‘60s represented the opportunity for the young working class to embrace the new-found affluence that finally came to post-war Britain after years of austerity, as the nation tried to recover. The emergent culture embraced a style and look that raised themselves above any perceptions of class or status. I think it’s no coincidence that Berry Gordy's Motown sound was so eagerly adopted – since I think Gordy was doing something similar with Black American R&B – presenting it with class and style and daring to aspire beyond the limits others wanted to place on it. DAVE: Mod culture for me was a mixture of music and fashion at the time. I’d missed the overhyped ‘60s days of Mod versus Rockers, which the British press whipped up themselves with front page headlines about battles taking place at seaside towns over bank holidays. So my reference points were my brother’s old LPs which featured The Small Faces, early Who and of course Pete Townshend’s homage to Mod, Quadrophenia which I bought as a schoolboy in ’74, I believe. The fashion at school was Suedehead which was a mixture of Mod garb (button down shirts, loafers, silk scarfs) and skinhead gear (Crombie coats, sta pressed trousers and Levi jeans, monkey boots). Musically and guitar-wise, I was rooted in all the classic ‘60s guitarists, so my playing at the time and the look Secret Affair adopted I guess you could say I had Mod style, but not by design. SPAZ: Briefly going back to the beginning, the seeds of Secret Affair were sewn when you both were the musical driving force behind the band New Hearts. 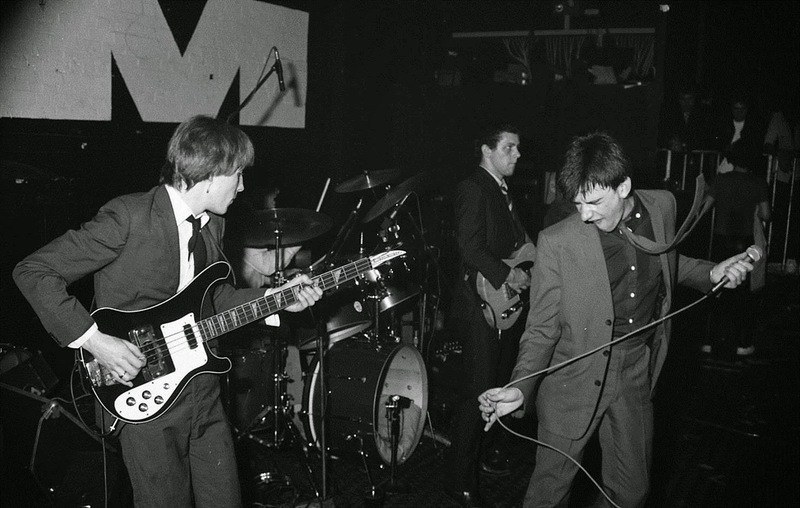 What led to the dissolution of that band and the birth of Secret Affair? DAVE: New Hearts was a learning curve for Ian and I, but in a negative sense in that many of the classic things that could go wrong for a band went wrong. Signing to a major label like CBS had the music press turned against us for ‘selling out’ and then we were produced by completely the wrong people on so many different levels, as CBS A&R tried to turn us from a raw new wave band into a teenybop boy band, with awful results. Despite signing the old fashioned several album deal locking you in potentially for 10 years or more, they declined to release an album when the first two singles failed to chart, but wouldn’t release us from our contract either (it was great to see the New Hearts album finally released on Cherry Red a few years ago). Ian and I got a new drummer and bassist, and changed our name to Secret Affair and continued with our booking agent playing support slots up and down the UK. We wrote the Glory Boys album in my parent’s garage and demo’d the tracks at CBS studios before being pulled out of our CBS contract by our new publisher and signed to Arista Records. Within a few months we had a hit single with ‘Time For Action’. IAN: Like many of their contemporaries, CBS Records who signed New Hearts and many other New Wave/Punk bands never really grasped what the New Wave was, and why it had happened. We allowed ourselves to be pushed and pulled in different directions by people overly focused on the band’s youth and 'pop' appeal. Having been paired with a bubblegum pop style producer for our first single, we ended up with a record that unsurprisingly sold few copies in the climate of the time. SPAZ: Secret Affair seemed to possess the same ideals as the then-burgeoning Mod Revival scene, but would it be safe to say that the scene adopted you as one of their own, as opposed to you actually declaring yourself as a Mod band? IAN: The Secret Affair style and look matched mod culture extremely closely, and I was very happy to embrace this renewal in one of the great youth phenomena of the ‘60s. DAVE: We were wearing old mohair suit jackets, button down Brutus shirts and ties, but with drainpipe jeans and converse baseball boots in New Hearts. 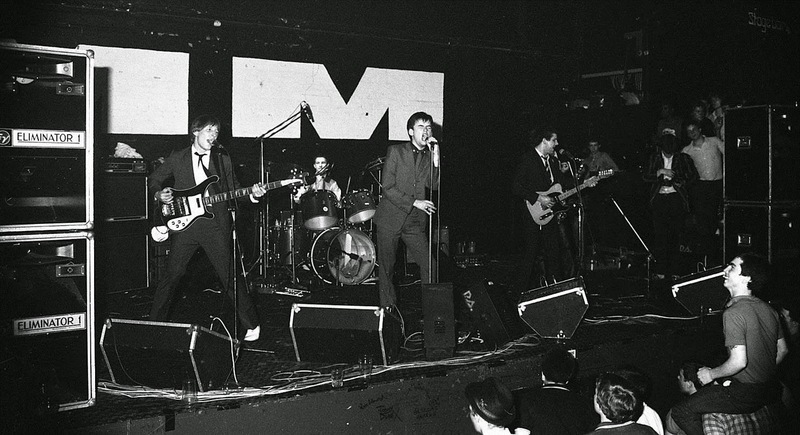 So with Ian’s concept of our look for Secret Affair to look like the London gangsters in the film Performance, all we had to do was add the suit trousers and some loafer sand brogues, and we had the look. And that’s how we went out on the road, Feb 1979. By then a Mod scene was developing (in fact I don’t think it ever went away from the ‘60s days), and we began to pick up a very loyal following. So it was just a natural progression. Some of our detractors in the music press at the time accused us of jumping on the Mod bandwagon following the release of the film Quadrophenia, but that wasn’t released in the UK until October of ’79, by which time we were already selling out clubs like the Marquee. SPAZ: The band’s sound didn’t rely solely on the guitar-fueled Power Pop elements of The Who and Small Faces but also incorporated a heavy Soul influence as well. Were you intentionally trying to create a sound different from your contemporaries or was this purely organic and instinctual? DAVE: I brought the Rock element to the partnership with my guitar style, that in many respects was based on being able to play on my own in a band as a rhythm and lead guitarist, and not tucked away behind a lead guitarist noodling away all night (seeing The Who in 1975 taught me that). Ian brought the Soul in his love of Tamla Motown and Stax. IAN: I was heavily influenced by Motown and the Atlantic/Stax sound and it was very deliberately combined with a high energy, hard R&B guitar to create the 'Secret Affair sound'. SPAZ: What inspired you to set up your own record label even before releasing your debut? IAN: It was a tool for retaining as much creative control over our look and sound as possible. DAVE: This was really driven by Ian and welcomed at the time by Arista Records as a means to create a stable of acts, and we released new material by Laurel Aitken, Eddie Floyd and Squire. SPAZ: Dave, who inspired your distinctive guitar style and sound? DAVE: My older brother had an amazing vinyl collection so I was inspired to play by ‘60s British Blues guitarists like Peter Green and Eric Clapton when they were playing with John Mayall, the sheer genius of Jimi Hendrix, Jimmy Page, and of course Pete Townshend, but the list is endless. SPAZ: Your debut album, Glory Boys, is still regarded as a classic British album, Mod or otherwise. The musical vision far exceeded anything else happening at the time. Do you remember what your frame of mind was at the time? Did you feel that you had to adhere to any type of restrictions when recording? DAVE: We were still angry at how the music press at the time had trashed New Hearts, because if you weren’t part of their clique of favored Punk/New Wave bands then you stood little chance of success. Ian produced Glory Boys and had his own vision of combining our songwriting and musical skills into a cohesive Rock/Soul hybrid, and I think he achieved that. IAN: In production terms Glory Boys was something of an homage to the dynamics and production techniques of the great records of the ‘60s. SPAZ: Looking back at Glory Boys, are there any particular memories that you associate with the recording and release of the album? Are you still pleased by what you were able to accomplish with the album? IAN: I remember creating the ethereal droning piano sounds in the Glory Boys intro by recording backwards piano. This required turning the multi-track tape back to front...listening to the song play backwards and learning the cues the opposite way around and recording the piano. Turn the tape the other way round and hey presto – backwards piano. I remember the looks of fear of some onlookers as I reassured them that it really did work. DAVE: After feeling like we were stuck in glue with CBS and their old ‘70s permed hair and satin bomber jacket view of the record industry, with Arista Records everything went so fast we barely had time to stop and think. We were on the Top Of The Pops with a hit single, made an appearance on the album show The Old Grey Whistle Test (which I grew up watching acts like Bowie and Free), and selling out all our tour dates. So it’s what you dream of as a musician. SPAZ: Ian, do you feel that your lyrics were often misinterpreted by fans and critics, or did you find their different perspectives refreshing? IAN: Initially, I'm not sure people took much notice of the lyrics – people only began to understand there was something interesting going on later. SPAZ: “My World” remains a defining single, not just for Mod but for British Pop in 1980. It also paved the way for the equally exciting Behind Closed Doors album. When you wrote the song, did you realize that it was going to be one of those songs that would transcend the genre and become a classic? DAVE: No, it came to me very quickly and finished in about half an hour, and I guess influenced in no small part by Pete Townshend’s ability to write powerful anthems. But I was just a typical 18 year old embarking on life and excited about what I and we could all achieve in life. It’s great to see the audience all these years later singing along and that they could identify with the sentiment both then and now. IAN: “My World” was one of our oldest songs, deliberately held back because we knew there was something a bit special about it. SPAZ: When recording Behind Closed Doors, did the band have more freedom to expand upon your musical ideas? A few tracks (“Streetlife Parade”, “What Did You Expect?”) were certainly far more imaginative and advanced than anything your contemporaries were releasing. DAVE: Ian’s “Streetlife Parade” in particular is a masterpiece, but despite being given a free rein as to the material for the album by Arista Records I didn’t think we’d been given enough time to put the album together compared to Glory Boys, so we fell into that classic second album syndrome and I certainly wasn’t happy about my contribution to it in some respects. Ian may disagree but if we’d been given another two or three months to write and rehearse and I think we would have made an even better record. IAN: Songs like “What Did You Expect?” etc., confused the hell out of people – rather ironically, it wasn't what they expected. SPAZ: Was it difficult to recreate the songs live? DAVE: Ian played piano on tour with an additional keyboard player to recreate the second album tracks. IAN: A few of them used orchestral strings, which was a little tricky. But when we play songs like “My World” nowadays, I think people kind of hear the strings in their head anyway. SPAZ: Any particular memories about this period in the band’s career? DAVE: We were playing a lot of concert halls in the UK mixed in with club shows, and I recall playing Hammersmith Odeon which was a pretty big deal at the time and we’d sold out. IAN: Only that certain things were starting to go wrong and a sense that Dave and I were losing control of how the band was handled and presented. SPAZ: It took another two years for your third album, Business As Usual, to be released. Did you purposely take a breather after recording, releasing and promoting your first two albums in short order? IAN: I always thought we rushed into the release of the second album too quickly. We also embarked on an arduous and lengthy tour of the US prior to making the third album. Also, Dave and I needed some time to write fresh material. DAVE: We actually spent several months in the US trying to break the US release of Glory Boys on our US label, Sire Records, and played at one point 65 shows with just Sundays off. And by road too, which was an amazing experience so we didn’t take a breather, we just kept rolling. Back in the UK we had to start the third album songwriting and rehearsing process and then spent the whole summer in a residential recording studio in Cornwall, so that’s why it took so long! SPAZ: The songs were certainly some of your best, but the sound of the album was more refined, edgy and direct than your previous albums. Did you purposely move away from the more expansive sound of the previous albums? IAN: The failure of a couple of singles to achieve high chart positions meant that our record company significantly cut the recording budget, hence a more direct sound, utilizing hammond organ and layered horns to achieve that Secret Affair 'bigness'. So we wrote and produced according to the limitations placed upon us. SPAZ: The band broke up after the release of Business As Usual. Looking back, do you think it was the right time to take a break or do you feel that the split was a bit premature? IAN: The split was completely premature – and certain people didn't realize how much had been achieved, and what was being thrown away. DAVE: We’d run out of gas with Arista Records because the original A & R and promotional team had all left. The people coming in are only going to want to work their own acts, so it was time to call it a day. The music press who had been behind us at the beginning had trashed the Mod Revival and ridiculed Mods, and backed Two Tone acts instead, and by now had moved onto the ‘80s synth acts. I couldn’t see a future for us and I was also fed up with so many things that bands are all about. If the internet had existed then we probably would have carried on but back in the day without a record label and the press behind you, then you have no way of reaching out to your fans to see if they are still out there for you. SPAZ: There was a 20 year break before the band briefly reformed for some gigs in 2002 and 2003. Did you try to get Seb involved with the reunion or did you prefer to pick up where the band left off when Paul was on the kit? IAN: I don't think Seb ever expressed any interest in playing with us again. And besides, I always thought Paul Bultitude was a superior musician. DAVE: It was only ever going to be Paul Bultitude, having toured the States with us, played on the last album and final tour. SPAZ: Why did it take another 10 years before Soho Dreams was released? Had you been working on the songs during that time as you brought the current line-up together? DAVE: We had recorded five new songs at our publisher’s own studio in London back in 2006, so when we had the funds to re-launch I-SPY Records, we went back into the studio and finished the other six tracks and got it into production once we’d got the distribution deal set up. IAN: We just didn't have the money and resources to make another album. We are forever grateful to our current music publishers, Peer Music who allowed us to use their recording studio, and piece by piece grow the album over time. Half of the album was recorded with them. The other half was entirely self-financed – made possible by gradual growth in live work. SPAZ: Was it easy to find your musical groove again? And were you a bit nervous to release music that would inevitably be compared to the music you created 30-35 years ago? IAN: It was surprisingly easy. There's always been enough creative chemistry between Dave and I for us to very quickly settle into our normal roles within the creative process. Nerves? No – it’s the best thing we've ever done. We had complete confidence in Soho Dreams. DAVE: Ian and I just picked up from where we’d left off but with more maturity and depth in our approach. 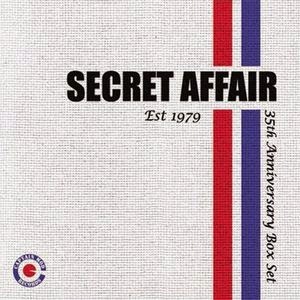 It sounded like a Secret Affair record to me so I knew most of fans would probably like it. SPAZ: Soho Dreams is certainly another jewel in the band’s legacy. How are you feeling about it now, three years on? DAVE: It’s done us a lot of good all around, and it’s been great to have given something new to the fans and followers who come to our shows year after year. SPAZ: What is next for Ian Page, Dave Cairns and Secret Affair? IAN: Another album, one even better than Soho Dreams would be nice. And for as long as people keep coming to our live shows, we will eventually be able to make it. DAVE: And maybe we’ll get back to the US in the next couple of years. Special thanks to Mark Brennan, Paul Bevoir, Daryl Smith, Jocelynn Pryor and Nick Kominitsky.